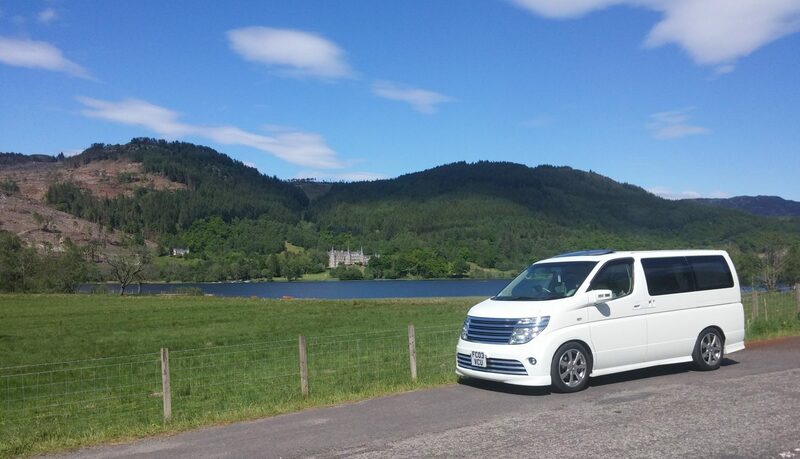 Just back from a week staying at Forest Holidays’ Strathyre cabins in Scotland and I have to say the Elgrand was absolutely perfect for the trip. With the rear two seats removed there was more than enough room for four of us and all our luggage (even enough room for three girls’ shoes and clothes!). It pulled well and had no problems with the hills we encountered, either going up or coming down them. Over the course of the whole journey it averaged 8.6 km/l, which is about 24mpg. Pretty good for how much weight it was hauling. Parking was easy with the rear reversing camera. So overall I’m really pleased with it and it was the perfect vehicle for the trip.